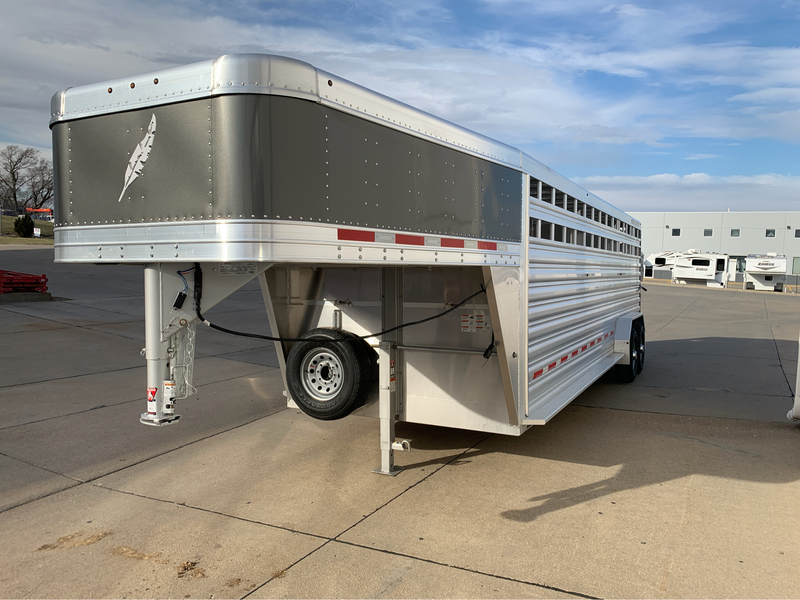 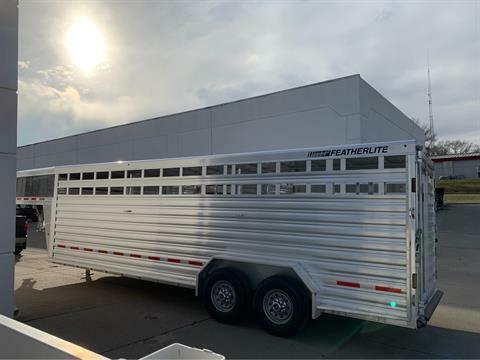 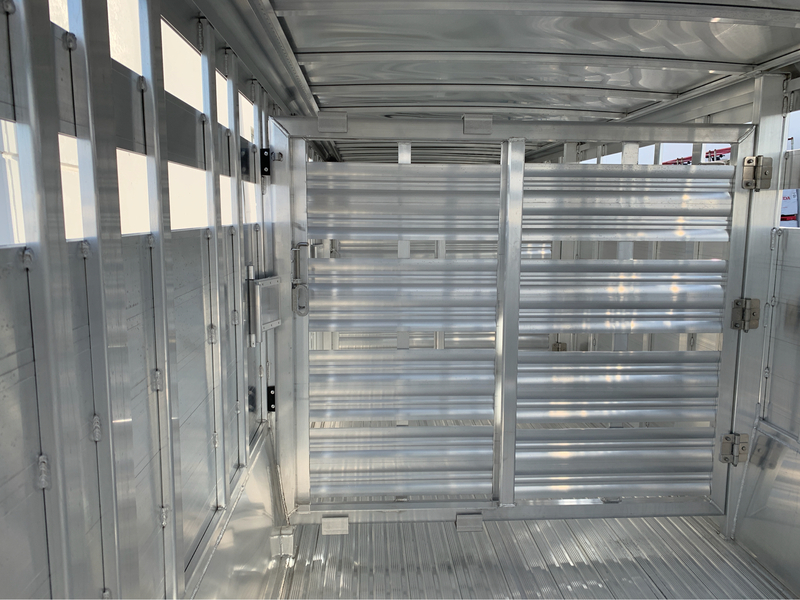 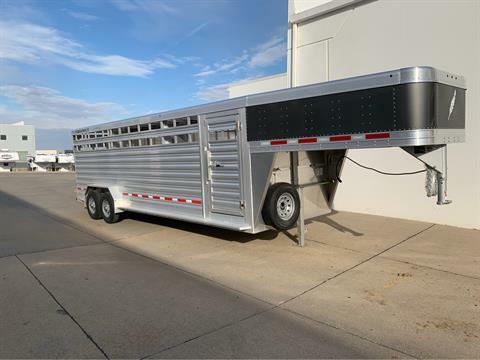 New 2019 Featherlite Model 8127-7024 Gooseneck all aluminum deluxe livestock trailer. 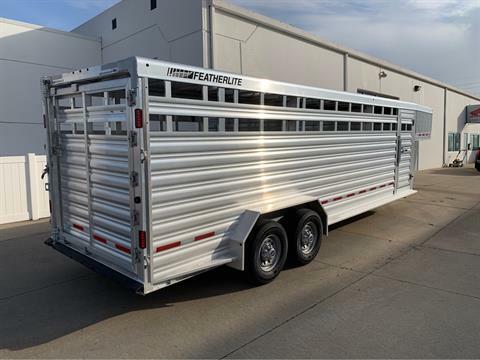 7' wide x 24' long with two standard center gates/sliders. Extras: Charcoal Nose, Spare Tire/Rim, Western Rear Hardware (5-Stainless Steel Hinges on Rear Gate and Extra Welded Gussets in Top Corners of Rear Frame), Slam Latch on Rear Gate, (4) Tie Rings on Rear Frame of Trailer to Secure Loading Panels to trailer.